BARRICK Gold maintained its gold and copper forecasts for the year following the publication of third quarter numbers, said Reuters citing a company announcement. The numbers help maintain momentum of Barrick’s proposed $6bn merger with Randgold Resources, the African gold production company. Shareholders will be asked to vote on the proposal on November 6. 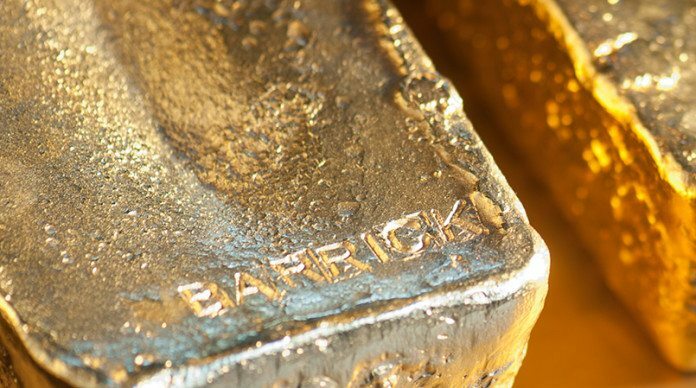 “I look at the potential of what Barrick can become with Mark Bristow running the company,” Joe Foster, portfolio manager at Van Eck, which supports the merger, told Reuters. Van Eck is the biggest investor in Barrick and No. 2 holder in Randgold. “I believe they can make it work,” he said. Bristow is CEO of Randgold Resources. Barrick said it sold 1.2 million ounces of gold and 114 million pounds of copper in the third quarter. Production totalled 1.15 million oz of gold and 106 million pounds of copper. Gold production was about 8% higher than in the second quarter, while all-in-sustaining costs were about 7% to 9% lower, said Reuters. Third-quarter copper output was up 28% from the second quarter, Barrick said, largely reflecting gains at the Lumwana mine in Zambia. Acacia Mining, the Tanzanian-based gold producer in which Barrick has a 64% stake, reported production on October 8 of 136,640 oz which was some 29% lower than the third quarter of last year. It also said it was on course for production of just over 500,000 oz for the 2018 year – higher than initial estimates.